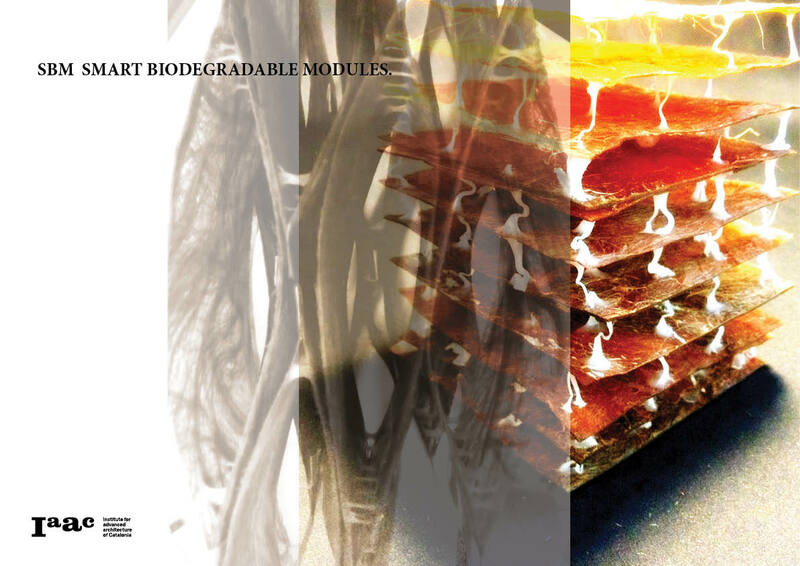 Bio-logical – In the first phase of the research we looked into material plasticity for programmable use. 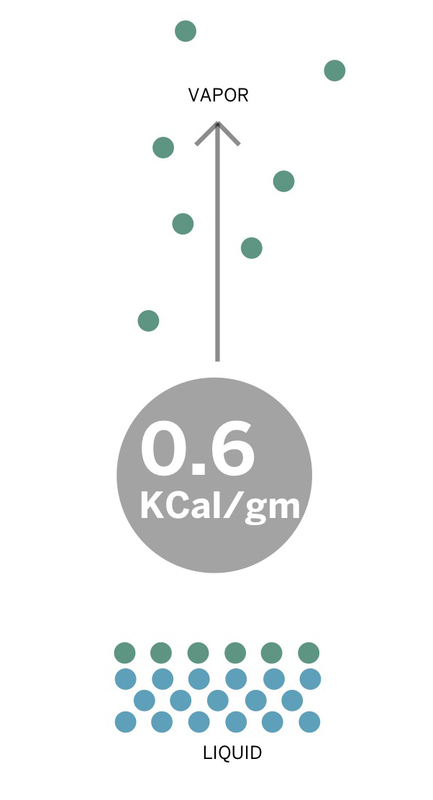 As part of a Life inspired and regenerative concept, we studied production feasability of biopolymers and their thermoplastic performance in passive+ and artificial systems. In the continuation of the project we further developped the idea of a malleable system, focusing on passive biodegradation with rainwater, or induced degradation by artificial moistening. SimBIOsis – We define cycles of occupation from the material´s thermoplastic transformations. 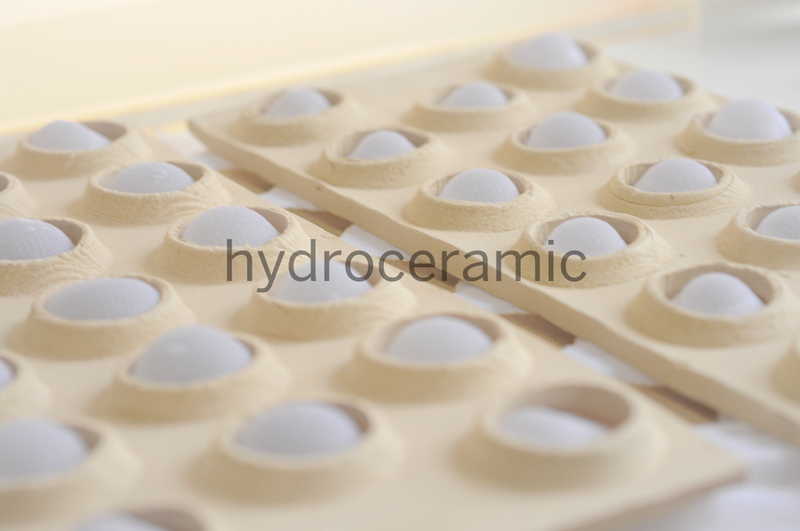 As a water sensitive composite system, its ability to partially dissolve and later absorb, allows deformability and reshaping of the structure. As the system becomes permeable, it can later on create opportunities for microhabitats to infiltrate the structure – Thus creating, an interface between large scale and microhabitats, and eventually forming a fully disintegrated foodbase for soil. a repairable and easily perishable system that responds and feeds its ecosystem. Because of its thermoplastic properties, additional layers of material can easily blend with it – It can be refilled and reshaped. When used as a multilayered system with water resistant components, it can be restored following a controlled structure until the latter also biodegrades. This Design/Research endeavor undertaken at the Institute for Advanced Architecture of Catalunya for the Academic year 2013/14, presents an exploration of potential Architectural applications of Color Changing Materials, namely Photochromic Powders. 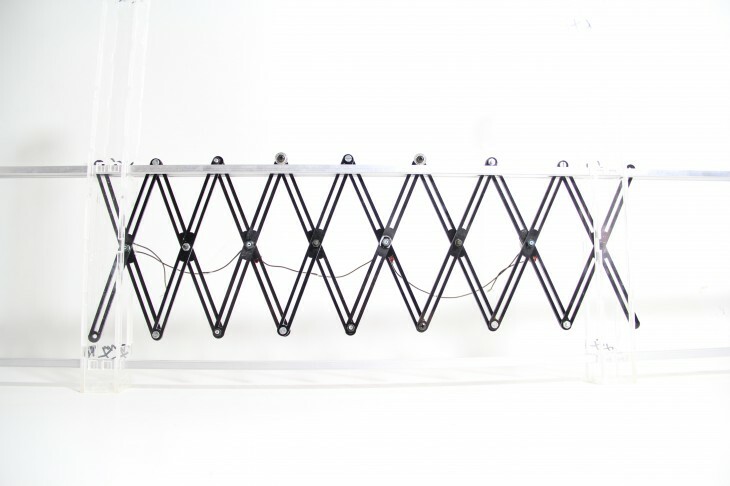 The project speculates optimal design solutions for building skins, along with an efficient use of smart materials while incorporating high-end fabrication techniques and digital tools necessary for the simulation of the anticipated material behavior under changing environmental conditions. This project understands material intelligence as a cooperative agent in the Architectural design, making possible the spontaneous response of a built construction to a spectrum of stimuli, while contributing to a dynamic, visually engaging and communicative quality of building skins. Terms like “interactive” and “transformative” are already well established within the Architectural jargon. 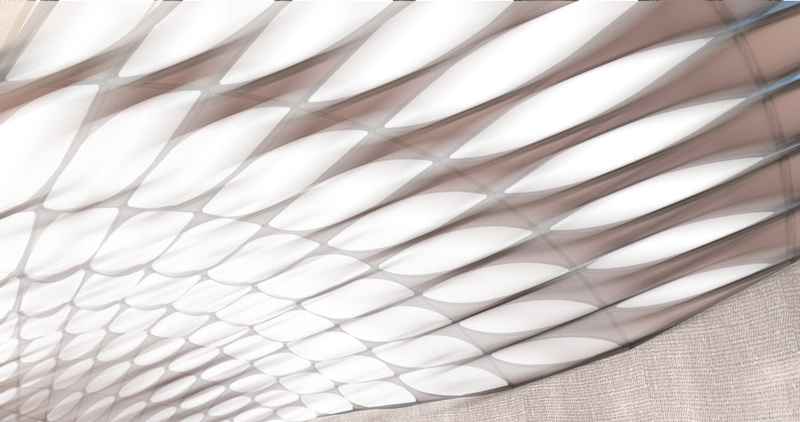 Nonetheless, this design proposal suggests dynamism through the use of inherent material property to shift state in response to changing energy fields. This main property of smart materials opens doors to the design of passive systems, the ultimate ambition in mainstream practice, which we, in turn, attempt to achieve in this research. 2. 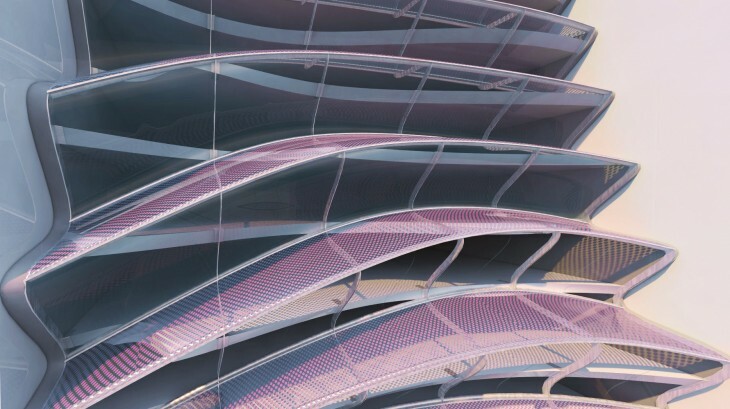 A Parametric Design Tool adapting building skins to better optimized forms and material allocation, in response to local environmental conditions at every point along the surface. Automated ventilation systems are usually complex building features. Moving elements require motors that add cost, weight and energy consumption to the construction, while they are often significant in size, reducing the structure’s visual delicacy. 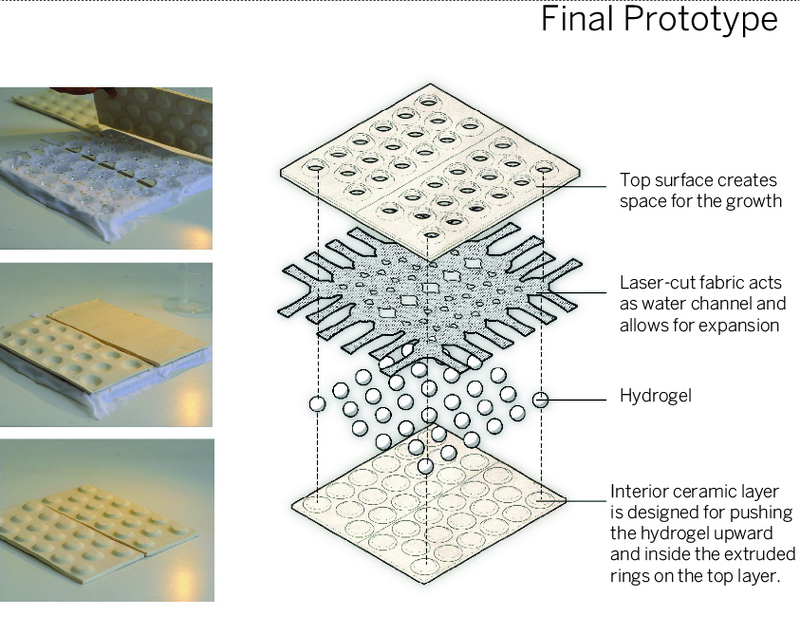 Smart materials are here to change this paradigm and open the path towards a new architecture. The breathing panel is a low cost, lightweight, durable and efficient modular ventilation panel. It uses a shape memory alloy wire to create an opening equal to 35% of the panel’s total area. The use of bi-metals in architecture is relatively new and has always been used as the metallic sheet itself. This is a new approach to the already existing technology and know how. The bi-metals work in a similar manner to thermostatic materials. The approach was to use bi-metals in architecture in order to convert a temperature change (input) into mechanical displacement (output).